With just over a month until your big day, should you really try intense laser treatment? The experts always say no! 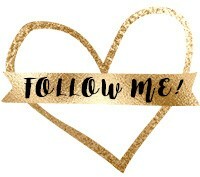 With just over one month out to my wedding, I got the opportunity as part of the My Beauty Bunny crew to experience the proprietary YAG laser with IPL (intense pulsed light) at Skin Laundry. While I am the type of girl that loves trying out new makeup shades and coloring my hair to express my style, I am not at all experienced when it comes to deep skin treatments. You know, those that go beyond good moisturizer and night creams? Given that it was a special occasion (that wedding thing! ), my mind and pores opened up to the possible benefits of Skin Laundry’s revolutionary laser treatment that proports to vaporize oil, dirt and bacteria while improving skin’s health, tone, texture and glow. Whether you are looking for affordable yet effective weekly treatments or some deep cleansing and polishing around a special occasion like getting married, Skin Laundry welcomes you in a comfortable and calming atmosphere. They have 6 locations around Southern California, New York City and Arizona with more on the way. 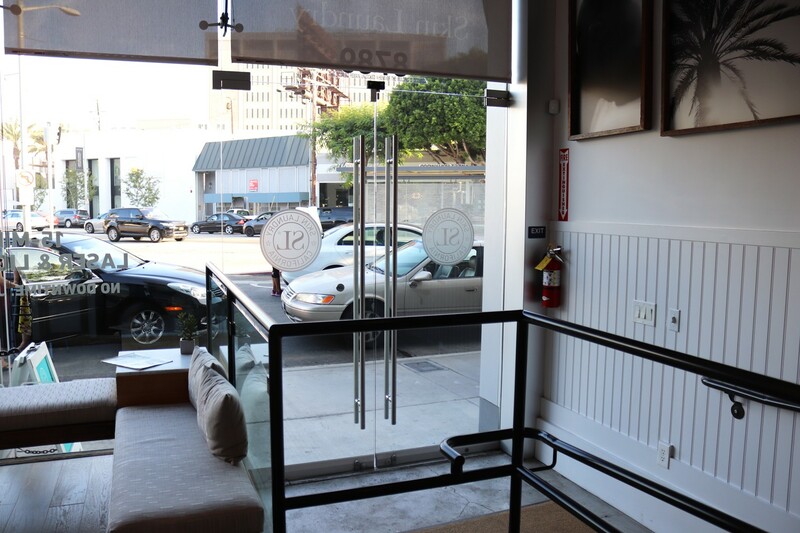 I went into my first appointment at the Los Angeles-based Robertson location with a bit of fear mixed with a healthy dose of curiosity. I mean, I will always try anything once. 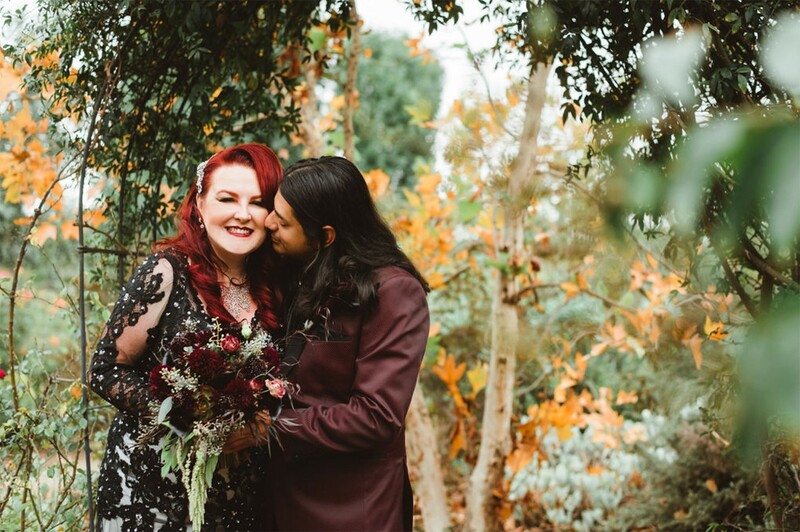 Since I don’t typically partake in this, I was a bit nervous since it’s well known advice to not get a facial or any treatments with needles right before your wedding. Needless to say, I didn’t want a red, blotchy face like I hear often occurs right after a facial. Well, the lovely ladies at the front desk put me at ease as they checked me in, gave me some product to cleanse my face and prep for the journey beyond. My tech came out to find and take me into the small room with a comfy gray chair and soaring high ceilings. She asked if it was my first time and offered to step me through the process as well as answer any questions that I may have. Her friendly, calm demeanor put me at ease as she explained how multiple lasers would be shocking my face! She placed an oh-so-glamorous headband and goggles on my face. I took a deep breath and said that I was ready. To warm me up, literally, I got rejuvenated with the (non-fractional) Basic Laser + Light Package. 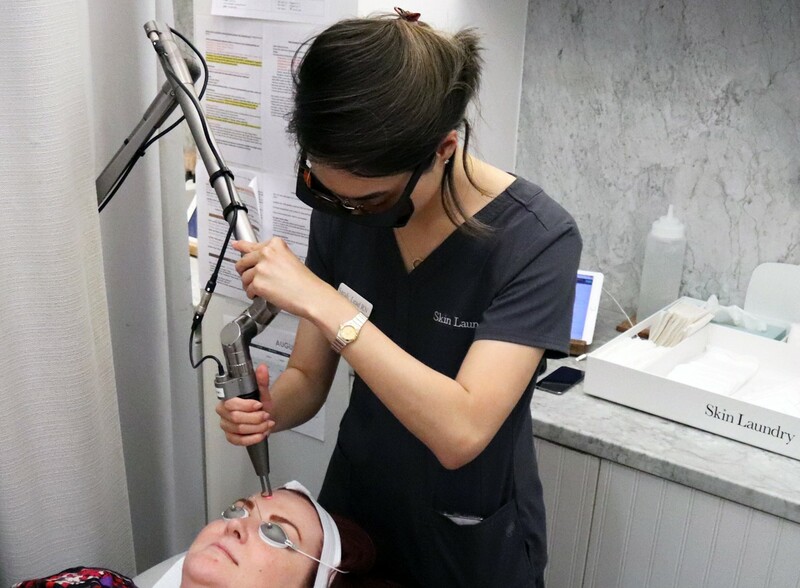 Step 1 of consisted of the YAG laser snapping at my skin to clean out anything clogging my pores; make sure to remove all make-up or you will hear snapping accompanied by unpleasant burning smells. No worries as it’s just the grime getting zapped away. The second step consisted of the targeted IPL attacking the superficial brown spots, redness, pigment and inflammation on the skin’s surface. It was all quite tolerable in under 15 minutes; with no apparent redness or major discomfort, all my fears seemed to be unfounded. Yet, I didn’t seem to see any results that evening or in the days following. I am told that the Laser + Light treatments need to be done on a semi-regular basis to be effective. You can check out Jen’s review here. 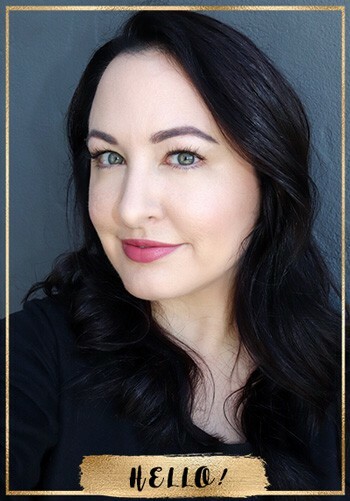 After a few weeks of rest, I came back for my first Ultra Fractional—a non-ablative fractional resurfacing laser treatment ideal for those seeking greater intensity, faster results and enhanced correction (AKA the big guns!). This 30-minute treatment goes by quite quickly but if it’s new to you like it was to me, I recommend bringing a friend or use the stress ball they provide to help the pain pass. Really though, they do everything to make you as comfortable as possible. From the ultra-modern and clean facility to the relaxing full body chair to the calm, well-informed tech, it made me feel as stress free as possible. The tech handed me special goggles to shade my eyes and then proceeded to clean my face with the YAG laser (one of the two lasers used in the more simple Laser + Light treatments). With the treatment came slight discomfort that subsides as you get used to the process. This leads me to the third and final part of my appointment – and the part that felt great! It consisted of a cool mist, the Hydration Boost serum, being applied to my face with a pressurized oxygen system. The purpose of this is to soothe the skin and deliver antioxidants and peptides to fight aging and provide lasting hydration. It definitely helped as my face didn’t seem very irritated (or display any obvious results) once complete. For the second Ultra Fractional facial two weeks later, my new tech knew I was no longer a newbie so she pushed me all the way. Or, well, much further than I went the first time. I thought, bring it on! I can do level 3! I have a huge pain threshold and the higher level a patient goes, the better results. So, I repeated the Ultra Fractional but took it up to level 3. Interestingly, when the treatment was complete and she removed any of the residue, they said my skin wasn’t that red. For having ultra-sensitive, pale skin that can turn red in the sun after just five minutes, I will take that! And, it appeared as though as my skin already had a more even tone and improved texture. 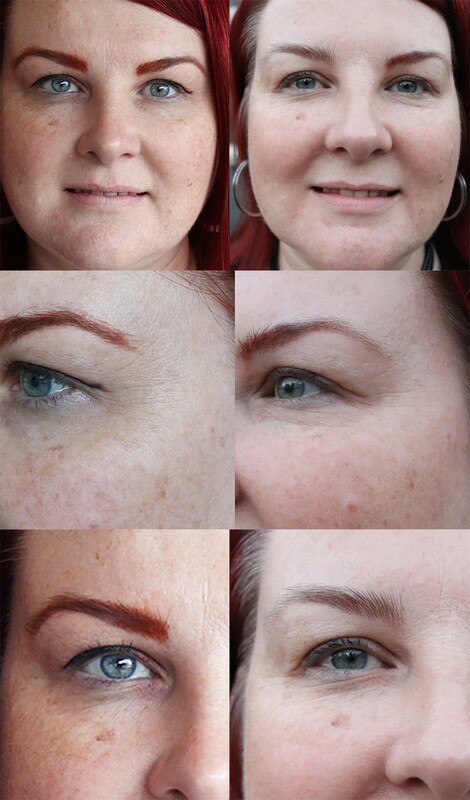 Not only were pores diminished, I had much less hyperpigmentation and freckles were lightened. And, those budding wrinkles and fine lines were much less visible! If I keep this up, they might even become invisible to the naked eye. I don’t want all this effort to be in vain so in order to keep my “new” skin smooth and spot-free, I will make sure to continue to apply a broad spectrum sunscreen every day. So, my skin was only red for the rest of the evening. The next day I was fine. I was told that there would be some inflammation for about a week or so after the treatment that would make my skin look amazing (think plumped up and less visible pores and lines). So I waited about two weeks after the second Ultra Fractional treatment to take these “after photos”. I think you can see that the effects were quite impressive! Ultimately while I could see a major difference in my skin, I’m not a skin treatment kind of gal, so I don’t think this is something I would do regularly. If it is in your budget and you can make the time though, I do recommend you try it. 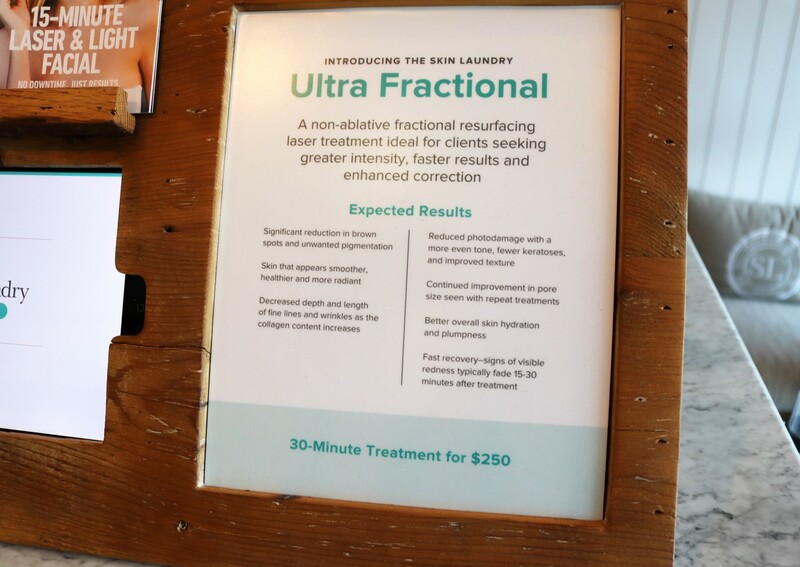 If mild Skin Laundry treatments are more your speed, the Laser + Light treatments are available for $75 per 15-minute session or $600 for a package of 10. Or, you can go all the way for the advanced intensity Ultra Fractional laser – best for anti-aging – at $250 per 30-minute session or $2,200 for a bundle of 10. There also is a Carbon Peel Facial available at the $150 level at moderate intensity for those who are acne-prone. 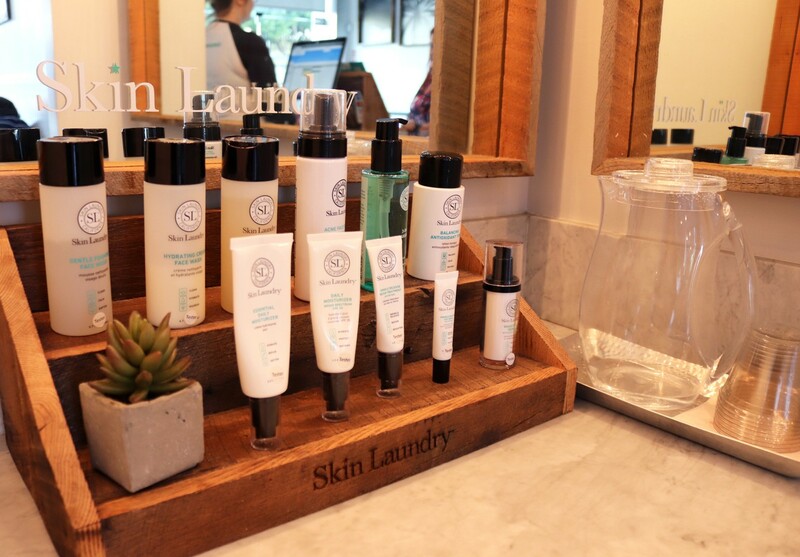 You can read more about the Skin Laundry treatments here. All in all, I’m really glad I tried this! My friends tell me my skin looked amazing at my wedding, and I felt that glow continue during my honeymoon in Europe! If you’re engaged to be married or know someone who is, check out Jen’s wedding prep timeline. She’s got lots of great advice for brides to be! Impressive results! Congratulations on your wedding! Your results are impressive. I love how the darker spots seem so diminished. I have a low pain threshold so I don’t know how I’d do with some of this but I’d love the results. Wow love your results I can see a difference, glad it worked for you you look beautiful! Congrats. If this works on acne scars, i would totally try it! Her results are so impressive! IPL is milder than fractional, and it also depends on how high the settings are. I think you COULD handle it. Just find a place near you that will work you up slowly. 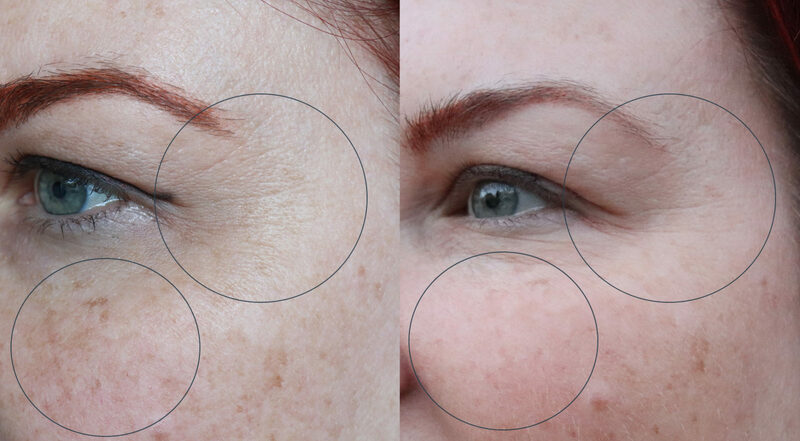 And if you have melasma, don’t use IPL or fractional – use piqo4 or another laser that has very little heat.